Linda Cavanna-Wilk focuses her practice on affirmative action, EEO compliance and diversity. She is involved with affirmative action plan preparation, routine advice and counsel, client representation during OFCCP audits, mock audits, diversity programs and compensation analyses. Additionally, Linda assists companies with implementation of HRIS systems, applicant tracking programs and employment testing. 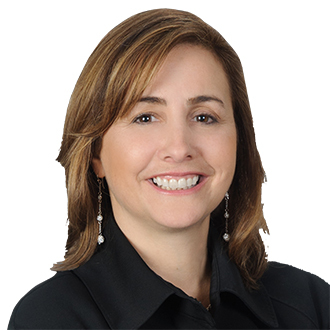 Linda also counsels clients on employment discrimination, wrongful discharge matters, sexual and other forms of harassment, FMLA, FLSA, reductions-in-force, policy and procedure development and the development of employee handbooks. Linda teaches various employment law courses including "Affirmative Action Programs: Preparation, Implementation and Compliance," "Internal and External Complaint Procedure" and "Public Sector Law" at Cornell University. Linda is a Board Member for the Tri-State Diversity Council and a member of the Compliance Advisory Board for Direct Employers. December 29, 2015 - "Q&A: Don't Assume Past is Prologue for OFCCP-Regulated Contractors"
August 06, 2015 - Is Mandatory Paid Sick Leave on the Horizon for Federal Contractors?